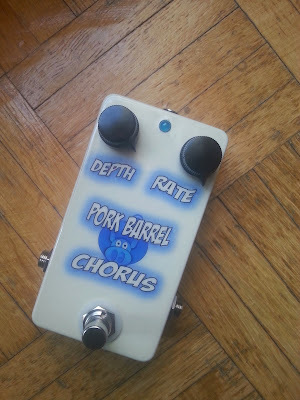 The Pork Barrel is a project from Madbeanpedals and based on the Boss Chorus CE2. 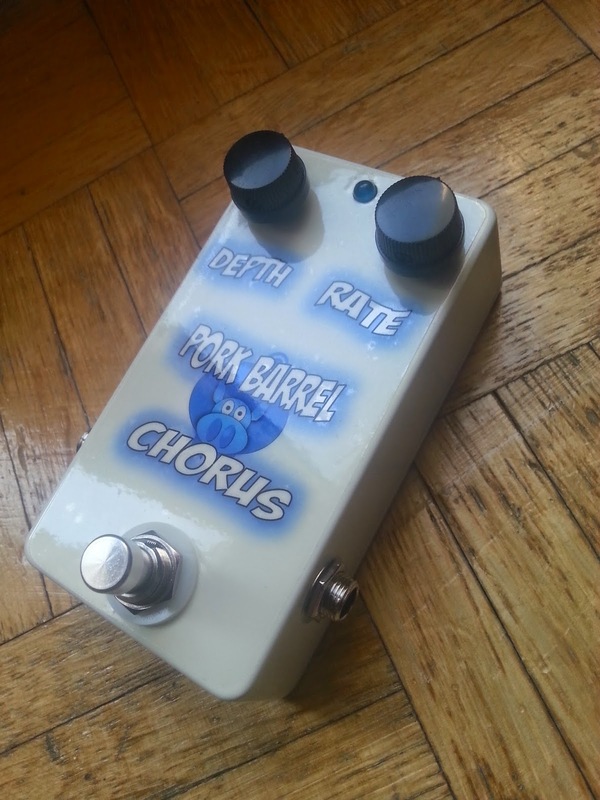 The Pork Barrel can be built into a 1590B box, eventhough its a thight fit. I built the Chorus with a MN3207 BBD and a MN3102 Clock chip. I also used the Rate LED also for bypass. So the Rate LED turns on / off with the bypass switch. 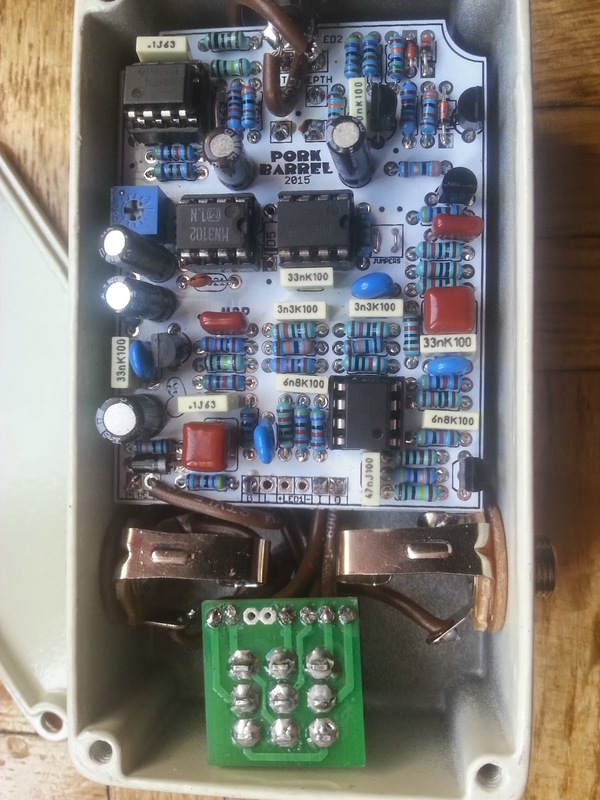 How did you mod LED2 to turn on/off with the bypass? 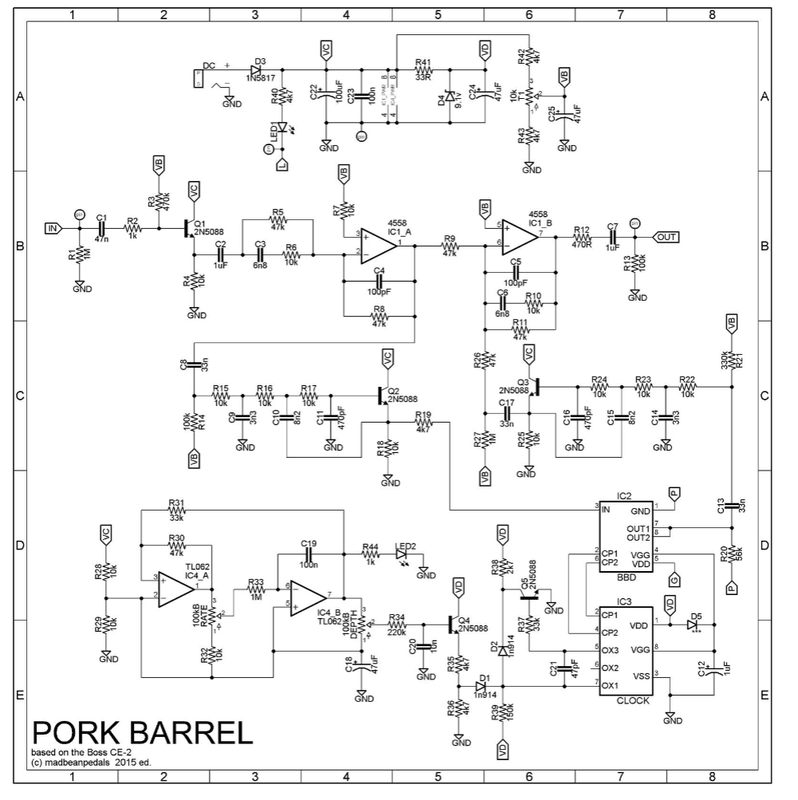 instead connecting the cathode of LED2 to the PCB, connect it to the 3PDT switch, to the pin, where the cathode of the bypass LED would be connected.